Encountering bad air pollution and terrible smog is probably the last thing on your mind when booking a ski holiday. Think again! Increased pollution levels combined with temperature inversion means the air in a lot of ski resorts is far from pristine. Temperature inversion occurs during cold winter months. When it is really cold, the cold air sinks towards the ground and a warmer layer of air forms on top of it. This warmer layer of air acts like a blanket or cap on the air underneath it, trapping this air and all the pollution it contains. As a result, the air at ground level – the air we breathe – becomes heavily polluted. Ski season means ski resorts across the world are flooded with skiers ready to shred the slopes. An increase in people means air pollution rises (due to more traffic, burning fuel and wood…). 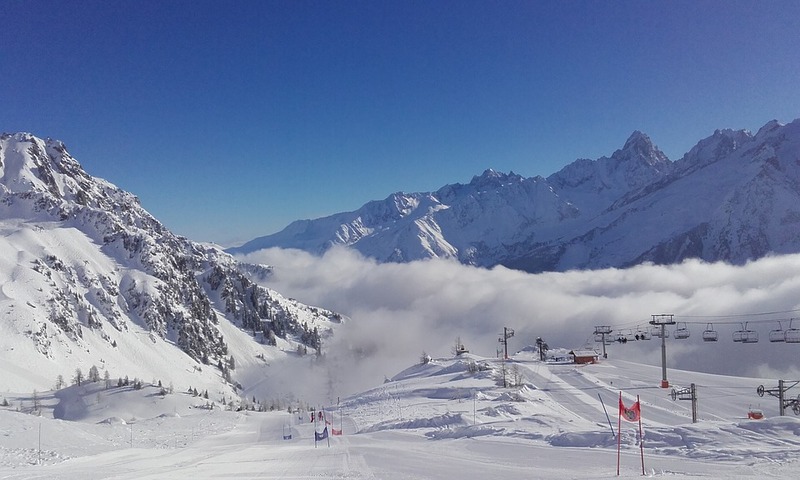 This increase, alongside the cold temperatures, means ski resorts are particularly affected by inversion. Not even the finest ski resorts can escape. In Chamonix-Mont-Blanc in France, for example, pollution levels can be as high as those in London or Paris. Zakopane and other resorts in eastern Europe see similar levels and resorts in the Rocky mountains near Utah in the USA also suffer from terrible air quality when cold spells hit. How can you avoid the pollution? Choose a ski resort that is high in the mountains, particularly one where your accommodation is based in higher altitudes. Ski resorts that are not located in closed valleys are also a good option. You could choose a ski resort in Northern Europe. Due to their remote location and the popularity of ski resorts in central Europe and North America, Nordic resorts usually have some of the cleanest air in the world. Leave your car at home! As traffic is one of the worst sources of pollution, choose a resort where you can ski in and out. Zermatt in Switzerland, Levi in Finland or Trysil in Norway are amazing car-free resorts that you can ski directly in and out of.